What are we going to do about Antibiotic Resistance? Antibiotics or initially hailed as “magic bullets” and are chemical agents used in the treatment or/and prevention of bacterial infections. They may either kill or inhibit the growth of bacteria. Before the early 20th century, treatments for infections were based primarily on traditional medicine or medicinal folklore. Over 3000 years ago, specific mixtures with antimicrobial characters were used. Many ancient cultures, such as the ancient Greeks and ancient Egyptians, used specific mold and plant materials to treat infections. Penicillin, the first antibiotic, was discovered in 1928, thanks to Sir Alexander Fleming for his unprecedented discovery. Then, penicillin was being mass-produced in 1944, and the treatment rate against many bacterial infections was very high. However, antibiotics such as penicillin, which used to have a high efficacy against many bacterial species and strains, have become less effective, due to the increased resistance of many bacterial strains. Currently, there are many new antibiotics such as fluoroquinolones, cephalosporins, and macrolides. Yet, we can see there are also bacteria that show resistance to them also. But what is the secret of developing antibiotic resistance, even to the new antibiotics? The emergence of resistance of bacteria to multiple antibiotics is a common phenomenon. 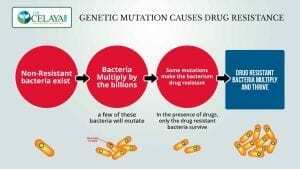 It usually reflects evolutionary processes that occur during antibiotic therapy. The antibiotic treatment itself may select specific bacterial strains which have a physiologically or genetically enhanced capacity to survive relatively high doses of antibiotics. This may result in selective growth of resistant strains and simultaneously inhibition of growth of susceptible bacteria. Ironically, use of antibiotics may increase the likelihood of developing resistant strains! Shall we stop using antibiotics to decrease the growth rate of antibiotic resistance? This urgent question cannot be simply answered by a yes or no. However, there is a lot of research that shows that overuse or misuse of antibiotics play a pivotal role in the emergence of antibiotic resistance. In the research, the misuse of fluoroquinolones and other antibiotics increased the rate of emergence of antibiotic resistance in bacteria, which can inhibit the treatment of antibiotic-resistant infections. Widespread use of fluoroquinolones as a first-line antibiotic has led to increased antibiotic resistance, with very negative consequences for serious bacterial infections. Antibiotics are not effective against viruses such as human immunodeficiency virus or influenza, so another common misuse of antibiotics is the use of them against viral infections. The key solution for this dilemma of antibiotic resistance is the concept of functional medicine. Functional medicine uses two scientifically based principles: The first one is to add what’s missing in the body to restore its physiology back to a state of optimal performance, and the second is to eliminate anything that prevents the body from moving toward this optimal physiology state. Functional medicine supports the normal healing mechanisms of the human body naturally, rather than attacking disease directly. Treating the underlying causes rather than the diseases is the cornerstone of functional medicine. In the case of infection caused by multidrug resistant bacteria, using natural products which boost the immunity of the human body, plays a remarkable role in fighting these multidrug resistant bacteria or superbugs. A larger number of medicinal plants and their purified constituents have been shown to have beneficial therapeutic potential. Studies showed that jungle honey enhances immune function by inducing neutrophil production, important for immunity. Seeds of Nigella sativa, a dicotyledon of the Ranunculaceae family, have been employed for thousands of years as a spice and food preservative. The oil and seed constituents, in particular thymoquinine (TQ), have shown to have potential medicinal properties in traditional medicine. The oil and certain active ingredients showed beneficial immunomodulatory properties, augmenting the T cell and natural killer cell-mediated immune responses. Most importantly, both the oil and its active ingredients expressed antimicrobial toward different microbes. So much of the animal products – meats – are treated with antibiotics. When they are given antibiotics and you eat them, you then are exposed to what they have been exposed to. When we are over exposed to them, they not only affect our beneficial bacteria and cause a microbial imbalance. In addition, this can affect or mitochondria – the powerhouse of our cells. As a result, we can have an overgrowth of yeast and candida which can lead to uti’s and vaginosis, just to mention a few. Here are a few natural approaches to infections. Garlic – contains a compound called allicin which has similar properties to penicillin. Manuka honey – An enzyme found in honey releases hydrogen peroxide. This process helps your body fight infection and prevents the growth of bacteria. Colloidal Silver – Many consider it a antibacterial. The nanoparticles can bind to the bacterial cell walls altering their function. Echinacea, Astragalus, and Goldenseal – Helps boost immune system function. Curcumin – Antibacterial, antifungal, antiviral. Propolis – The glue that the bees use in their hive can boost immune function. 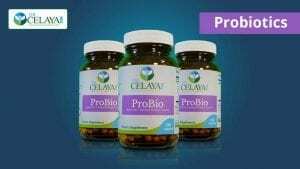 Probiotics – Helps balance your gut flora. These good bacteria help keep the bad ones under control. Grape Seed Extract – High in antioxidants, boosts immunity, alkalizes the body naturally, aids in digestion – improving beneficial gut flora. Extra Virgin Coconut Oil – Antifungal and antibacterial properties. Oregano Oil – Considered antimicrobial, antibacterial, antiparasitic, antiviral, and antifungal. Cabbage – High in sulfur which helps your detoxification pathways. Vitamin D – Considered one of the most important things for immune function. Emotional poisons such as anger, greed, envy or stress negatively affect the immune system as well. For example, stressors can enhance the risk of developing infectious disease, and they can also prolong infectious illness episodes. Ginseng (the root of Panax ginseng Meyer), one of the most well-known oriental medicinal herbs, has been widely used as an herbal remedy for various disorders. In particular, ginseng has been extensively reported to maintain homeostasis of the immune system and to enhance resistance to illness or microbial attacks through the regulation of the immune system. Gerimax ginseng can modulate the immune system in favor of clearing the infection with Pseudomonas aeruginosa in the lungs of rats. Thus, ginseng might be a promising alternative supplement for the treatment of chronic Pseudomonas aeruginosa lung infection in patients with cystic fibrosis. In conclusion, it is nearly impossible to stop the emergence of antibiotic resistance. Restoring the balance in the body’s primary physiological processes, living in healthy conditions, and boosting the immunity may be important solutions to this issue, through Functional Medicine. If you want to know about your health, you can sign up for a free 15 consult with Dr. Celaya.